The Space Invaders Cufflinks Set! 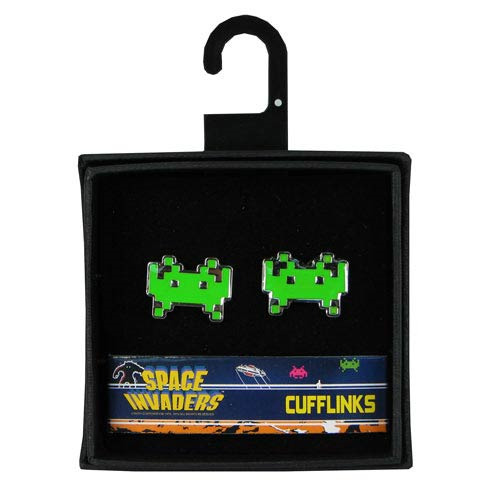 Cufflinks shaped like the famous alien invader from the Space Invaders arcade game. Based on the legendary 1980s arcade game Space Invaders, it's the Space Invaders Cufflinks Set! The cufflinks are shaped like the famous alien invader from the video game. For the Space Invaders and retro game fan, it doesn't get much better than this fun and functional Space Invaders Cufflinks Set! Please note, item does not come with wallet. Cufflinks only.